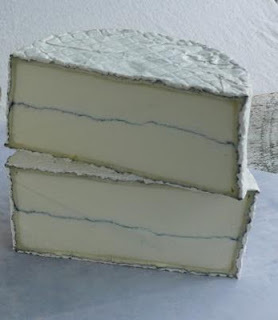 Humboldt Fog, made by Mary Keens at Cypress Grove Chevre in McKinleyville, California, is a gorgeous, five-pound wheel of young goat's milk cheese sprinkled in vegetable ash and left to develop a pillowy white bloomy rind. Its defining characteristic is the thin line of black ash running through the bright white middle of each wheel. Humboldt Fog is moist with a tight texture and exhibits a wonderful clean, lemony taste characteristic of great goat's milk cheese. Pair this cheese with Chardonnay, Sauvignon Blanc, Gamay, or Muscat. 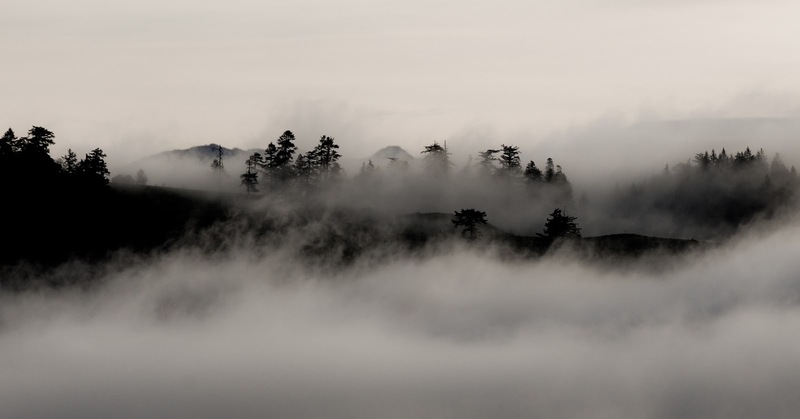 Located in rugged and remote Humboldt County, in the northern most reaches of California, Cypress Grove has created a unique terroir. The dairy producers have chosen goats that thrive in this climate and they feed them on lush pastures that includes native vegetation, less than a mile from the ocean. Their creamery reisdes where the redwoods meet the Pacific Ocean, a perfect vantage point to watch the fog roll in.